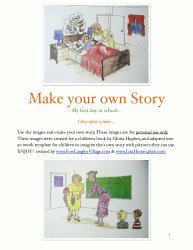 Create a story plus kindergarten and elementary style PDF and iWORK templates for kids to enjoy. My mother Gloria wrote a childrens story and allowed me the ability to offer this commercial free. Use the images to create your own 'first day of school' or 'kindergarten' storyline. A good way for you and your child to mentally prepare for school. This contains a collection of line art pencil colored teacher and yound students cartoon characters. A great way for the teacher to preserve their students first memories. My mother Gloria wrote a childrens story and allowed me the ability to offer this commercial free. Create your own fairy story. A collection of pink girl and blue boy cartoon fairy character images you may use to create your own fairy tale story. It includes a fairy king and some fairy police men. A collection of three black chalkboards for display or school effect. 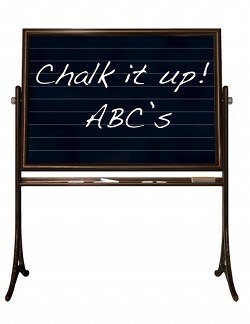 Use a chalk style font to complete the teaching session. Five pages of black design patterns that were different blackboard doodle versions. Create your own fantasy story with a collection of colorful animal cartoon character images. These images include a crow, an eagle, a parrot and some other zany characters. 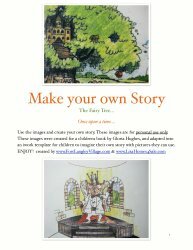 Great for creating your own childrens story. 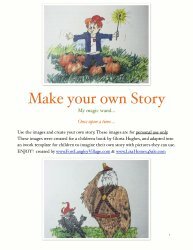 Simply ask the kids to supply the story and you have your own childrens scene play. Be creative!